TweetIn some places of the UK primary school pupils are expected to rise by up to a fifth in the next few years, with new funding announced this week to help local authorities cope with the rise. 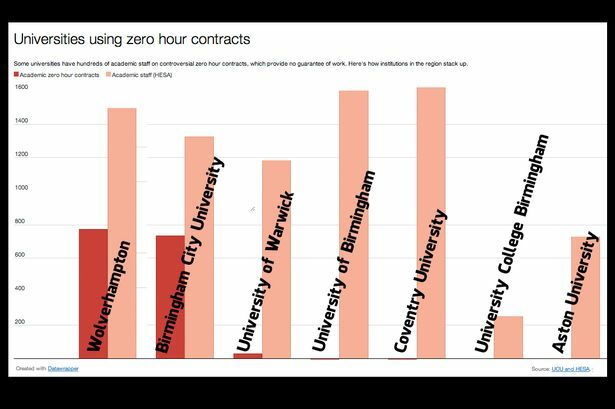 TweetResearch by the University and College Union (UCU) revealed that more than half of British 145 universities have staff on zero hour contracts: a controversial arrangement that doesn’t guarantee pay or continuous work hours. According to figures from FOI requests, academic institutions are twice as likely to employ staff on these terms, which might affect lecturers’ ability to help students with their studies. work for academic institutions without certainty of monthly pay. This amounts to a total of 24,427 nationally. The factchecking site Full Fact has launched a new section on its website hosting key data on education. www.universitiesuk.ac.uk – The report focuses on identifying how universities can work across the sector more effectively to overcome duplication or fragmentation, and how this can be brought about through strengthened leadership, both at institutional and sector level. TweetIn the final part of this series on common misconceptions about international students and visa laws, Nicole Froio looks at whether foreign students want to stay in the UK. Only about 9% of international graduates applied for the PSW visa in 2009. That’s 38,000 out of 405,810 non-UK students in higher education. This means that an overwhelming majority – 91% of people who came to study in the UK in 2009 – did not want to stay in the UK at all. Most foreign graduates want to leave the UK and go back to their foreign countries, so the danger of immigration numbers soaring up is not big. In addition to this most foreign scholarships (like the new Brazilian program Ciências Sem Fronteiras) require that applicants express interest in coming back to their home country with their new skills. Nicole Froio is Assistant Editor at HMI Education and blogs at www.wordsbynicolefroio.com and tweets at @nicolefroio. TweetIn the fourth of a five-part series on common misconceptions about international students and visa laws, Nicole Froio looks at the Post Study Work Visa. Myth 4: Scrapping the Post Study Work visa means there will be fewer illegal immigrants in the foreign graduates’ pool. Actually, there could be fewer legal immigrants. By making the rules tighter students will have more, not less, reason to stay in the UK illegally. If they can’t stay legally, they’ll go for the next best thing. By giving students a legal option to stay in the UK, people will rightfully go through the process of applying, being known by the government, and be assessed by their skills, personality and intelligence. The Post Study Work (PSW) visa program was a choice and never meant that all foreign graduates should be able to automatically stay in the UK after they get their degree. They just had the choice to stay if they wanted to. And this was meant for genuine students who had means to prove their universities existed. The problem of illegal immigrants doesn’t lie on the fact that graduates simply stay after their studies – it lies on the process of letting bogus students into the country in the beginning of their ‘courses’. “The National Audit Office found only a third of colleges had been inspected by the UK Border Agency to make sure they were genuine before the system came into force. One of the main issues of this whole affair is that there are many, many conflicting statistics on the matter. For example, the Telegraph shows that 50% of sham weddings involve bogus international students. However 50% of sham weddings is around 1,000 illegal immigrants – that’s only 0.2% of international students as a whole. And it could be argued that the scrapping of the PSW visa has made this number increase because of a lack of legal means to stay in the UK. Actually, since the visa laws tightened the number of sham weddings has increased. – BBC South Scotland, ‘Wedding day arrests by UK Border Agency rise sharply’. Tomorrow, the final part of the series looks at the myth that all foreign students will want to stay in the UK. Nicole Froio blogs at www.wordsbynicolefroio.com and tweets at @nicolefroio.